When we plan our escorted tour programme each year we look at each destination and assess it for both its 'holiday' value and of course the railway potential it offers. With this in mind we are always keen to include one of the Mediterranean islands as part of our tour options. 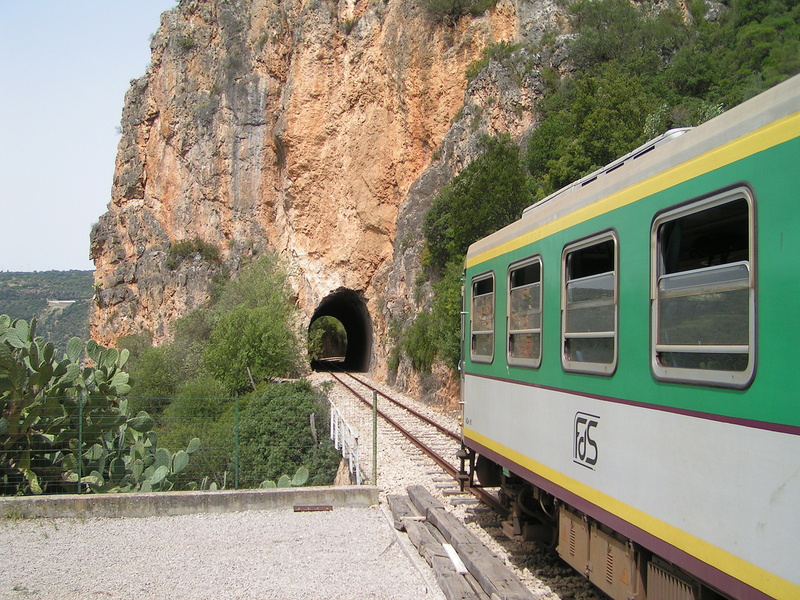 This year our chosen island is Sardinia - well known as a wonderful holiday destination but it should also be enjoyed and celebrated for its very memorable narrow gauge railway lines! So as rail tour specialists, we have combined the two to create a 10-day rail holiday that allows you to experience an atmospheric journey around the island, crossing spectacular mountain gorges, viewing wonderful scenery and encountering authentic Sardinian hospitality. We charter a railcar and pass through a quintessential Mediterranean backdrop including the historical centre of Tempio Pausania. The mountains of Sardinia are magical as they shimmer in the summer heat and what better way to see them but on our own chartered train along little-used narrow gauge lines through stupendous landscapes. During the tour we spend 3-days travelling along extraordinary narrow gauge lines including a branch line to Sorgono which is no longer open to regular traffic. You will discover the real Sardinia, yet there will be plenty of time to explore its ancient capital city Cagliari and the charming coastal town of Sassari for some relaxed sightseeing and café culture. This tour is part of Ffestiniog Travel's 'Connoisseur Tours' selection which should appeal to the rail enthusiast but it also provides a wonderful way of exploring Sardinia beyond its beaches and getting a real flavour of its culture, food and people. The tour is priced from £2,095 per person and if you wish to discuss the content in detail further please don't hesitate to contact us direct on 01766 772030 or email info@ffestiniogtravel.co.uk. A more detailed itinerary of the tour can be found on our website at www.ffestiniogtravel.com. We at Ffestiniog Travel take your privacy seriously. You have received this message because your address was placed on our mailing list. If you do not wish to receive further emails please respond to this message requesting that we remove you from our mailing list.